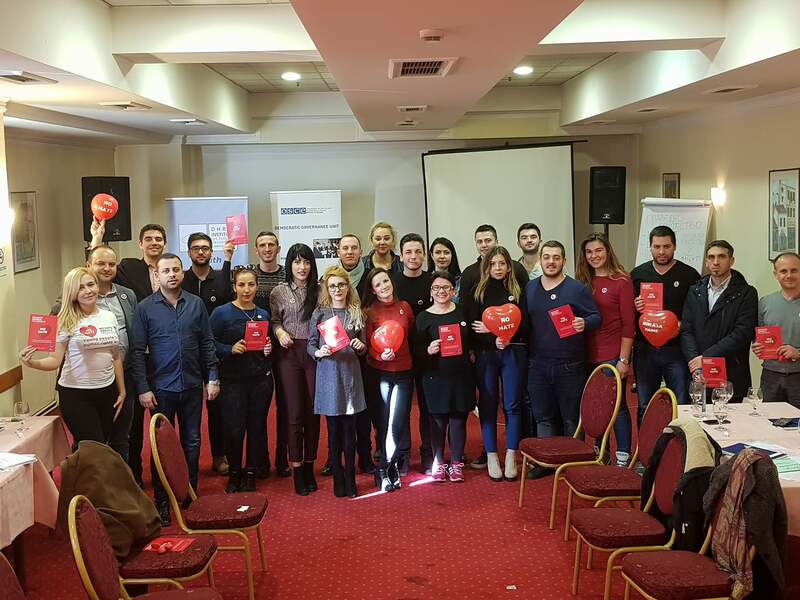 Within the Leadership Academy organized by OHRID Institute for Economic Strategies and International Affairs in cooperation with the OSCE Mission to Skopje, there were two sessions completely devoted to human rights and accessibility to human rights. Young politicians from youth wings of the political parties discussed and learned more about what human rights are, what kind of documents for human rights there are, and discussed the current state of human rights throughout the world. The two sessions were organized on the last day of the module, 10 December, the International Human Rights Day. For the purpose of the sessions, one exercise from Compass was used. From 8 – 10 December 2017, the OHRID Institute for Economic Strategies and International Affairs in cooperation with the OSCE Mission to Skopje, organized the third module of the Leadership Academy. The Leadership Academy started in 2015 and this was the third generation that passed through the Leadership Academy.